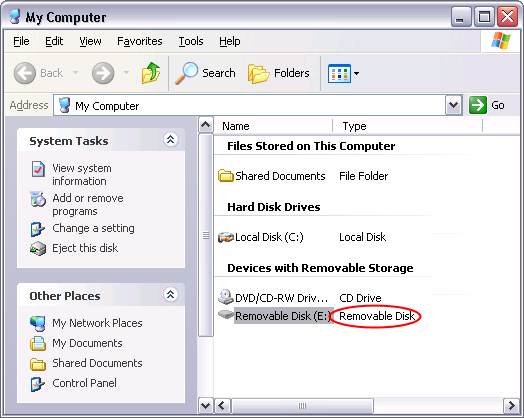 Windows XP may not offer the NTFS format option for the removable drives. Wait a minute, we hear you saying, isn't any drive I attach via the USB port removable? Well, yes, physically any such drive is removable, but some of them are treated as the local drives, even though they can be removed physically. 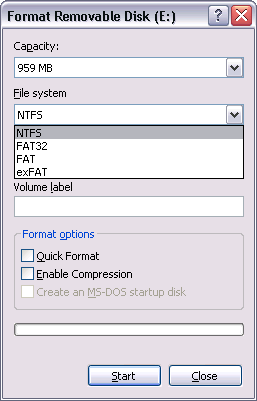 For the local drives Windows offers the NTFS format option right from the start. Just click the icon and select the drive you want to remove from the list. Only when it reports that it's safe to remove the drive, unplug it. 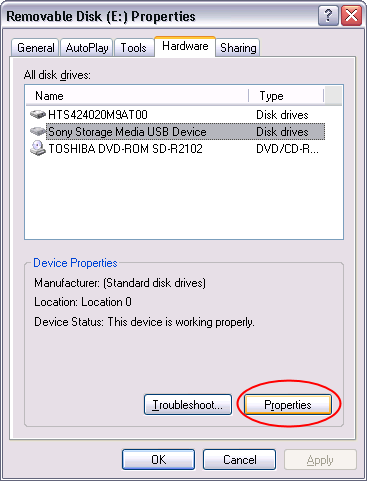 If you unplug the drive without using the Safely remove hardware icon, there is a great risk of corrupting the data on the removable disk, so better not skip this step. I’ve been trying to copy a 4.36 Gb file to my usb for an hour or so! Same here. Thanks a lot! Tried it, but wasn’t able to format in NTFS. Removed the drive, plugged it into another port and gave the flash drive a name. Then it gave the NTFS option. Thanks a lot! Thanks buddy…. ur like a savior.. This was a life saver. Thanks very much! I don’t have the Policies choice on the window you describe. Thankyou very much for taking the time out to explain this, you’ve hopefully got me out of a huge hole. Thank you so much! 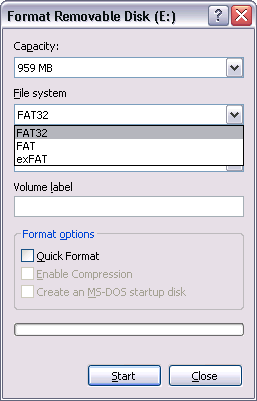 I was almost driving crazy why NTFS format option is not available, saved me a lot of time. 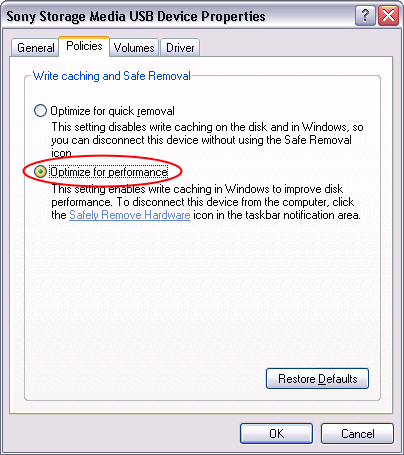 I tried this and still no NTFS formatting available.